The Roanoke Canal Museum & Trail released the second rockfish in The Roanoke Valley Rocks Campaign in front of the museum, thanks to the support of the Friends of the Roanoke Canal Museum and Trail. 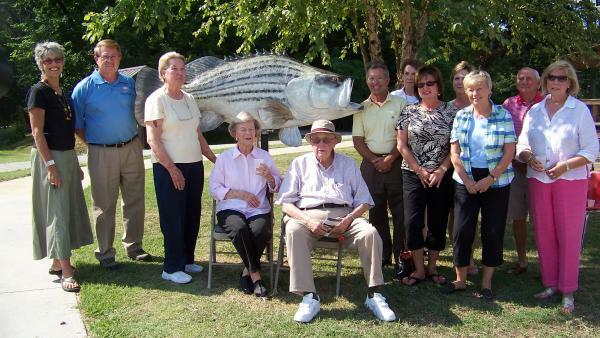 The fish, painted by artist and Friend of the Canal Tina Gregory, is a realistic rockfish with one special addition – the logo of the Roanoke Canal Museum & Trail. The logo is the original seal of the Roanoke Navigation Company that owned and operated the Roanoke Canal. The motto on the seal is Via Ad Emporium, which is Latin for Road to Commerce.